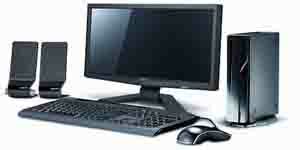 We, at PC Macgicians, specialise in Onsite IT Support in Putney, SW15. We offer in-house computer repairs at our Putney repair centre and on-site IT support in London, including virus removal, screen replacement, logic board repair, internet troubleshooting, Operating System repair, e-mail setup, data recovery and power-jack repair. 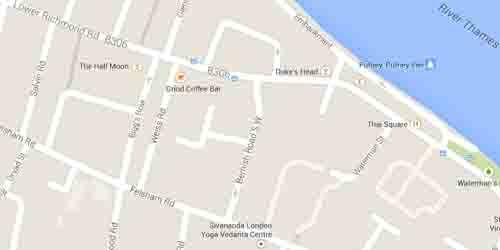 Located in Putney, a short walk from Putney High Street and Putney Bridge. Our engineer went to an onsite IT support job to this nice lady in a cul-de-sac in Putney who was having issues with connecting to the internet. She had two computers – an iMac with MAC OS X 10.8 Mountain Lion and a relatively old Sony Vaio laptop with Windows Vista. Initially this Putney lady used to be able to connect to the internet but at times the connection would drop but recently she could not connect to the internet at all. Intermittent internet connection (or any other computer problem) can sometimes be difficult to diagnose as one may not encounter problem whilst conducting the diagnosis. A quick glance at the ADSL modem revealed that the Broadband light was not constant and internet light was completely out. This indicated that the problem was with the connection between the modem and the ISP. Replacing the ADSL cable and restarting the modem solved this problem and both the Broadband and Internet Lights came on after reboot. The internet connection on the iMac came on but still the Sony Vaio laptop would not connect to the internet. Our engineer was told by the lady that internet on the laptop would only work if we connect it through Ethernet cable. She told him that it used to work fine until recently she took it to a computer repair centre in Wandsworth for virus removal and they had to re-install with Windows. After that she could only connect using a cable. The computer engineer from that repair centre in Wandsworth advised her to use the cable as there was a problem in her Wifi Card. When I checked the device manager, it became obvious that the only problem was that the driver for wifi was missing. That worked and the laptop also got connected through Wifi. This client from Putney was very happy with our onsite IT support service. I live in Barnes. I have a quite an old Toshiba laptop that my brother sent me from the US. I had the same problem connecting to the internet. Thanks for your help. I managed to solve my problem using your article.